Should retailers care about what music they play in-store? The company has gone live with Aptos Planning and plans to implement Aptos PLM and Supply Chain Management solutions as a second phase. Mulberry trades internationally through its own retail stores, direct wholesale customers and partners, as well as a growing online channel. 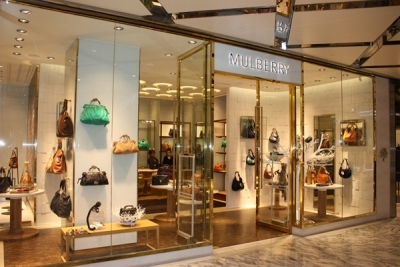 “This has been a very successful project, and it has enabled Mulberry to implement its Agile Supply Chain initiative and realise key objectives, including a reduction in inventory and greater visibility throughout the supply chain,” added Neil Ritchie, CFO at Mulberry. Aptos’ PLM capabilities will allow for the management of all collection data with the possibility to easily engage suppliers in the definition of bill of materials and costing. The Supply Chain Management functionality will then support efficient order tracking with suppliers. “Implementing both pre-season and in-season planning modules has provided the Mulberry teams with the ideal opportunity to target best practice and evolve business process,” explained Daniel Winstanley, head of planning at Mulberry.